Click the button below to add the HP Fresco 3 IGUS Track to your wish list. This IGUS cable track is suitable for NUR Fresco 3 wide-format printers. This is the original HP NUR part. 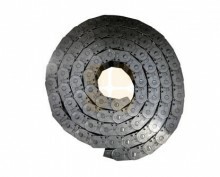 This cable track is 5,1m long and 75 mm wide (inner width of 50 mm).